Munduk is an area of hilly plantations, lakes, waterfalls and forests in Central Bali. Come try driving over the mountain tracks and back roads of Bali with its misty forests and pristine crater lakes. 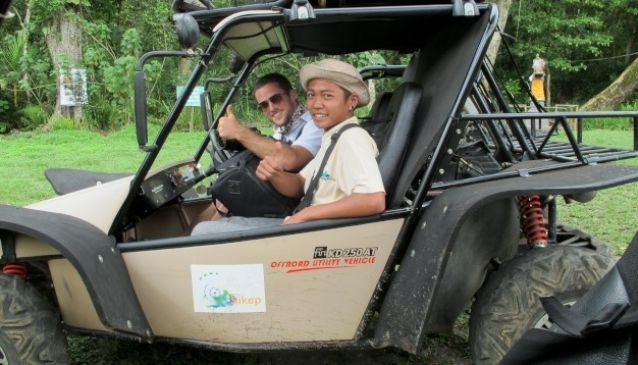 Munduk Wilderness is the first and only adventure operator in Bali using the Indonesian built Fin Komodo off-road 4-wheeler . This sturdy two-seater utility vehicle can zoom over the most difficult terrain with remarkable agility. Combined with mountain bikes equipped for rough terrain, the traditionally hidden hinterlands now become accessible, ready to be explored! .There are four different tours to choose from, so there is always something to suit your interest, age and fitness level!